Are you looking for a solid applicant tracking system that will give you a competitive edge? Today, the most sophisticated recruiting technology on the market is StaffingSoft. This applicant tracking system increases the quality of hires and reduces the time and cost of hire. By delivering complex solutions at a low cost, StaffingSoft can provide you with an easy-to-use, innovative applicant tracking system. StaffingSoft is comprehensive cloud based Application tracking Software that is designed around the way human resources, recruiters and consulting firms work. StaffingSoft is developed to be a comprehensive package that helps to improve everyday work flow in all aspect of business process from job management to resume management, candidate management, report management, and client management. StaffingSoft system is a unique system in its complexity, but at the same time simplified enough for all levels of professional to gain expertise of the system and its work flow in a very short time. Each module is completed with an online help index that will easily guide new users to gain control and understanding on all and each of the options available in the system. It is carefully designed to be easy to learn and has a simple user interface. Behind the interface lie the most powerful software features that will meet all of your recruiting needs. Designed based on object oriented technologies and most recent Web / Microsoft Technologies. With StaffingSoft, you get a total online workflow-management solution. 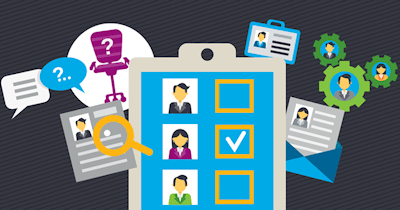 StaffingSoft Applicant Tracking is available to all industries and has gained popularity with Health Care, Insurance, IT and financial organizations that are looking to optimize their hiring processing. With constant growing demands in employment, StaffingSoft can provide organization with a more efficient system that facilitate their hiring process and freedom to customize the system to accommodate their unique workflow for a greater productivity. StaffingSoft stands apart from other staffing system on the market due to its dedication to customer service and client satisfaction. StaffingSoft upgrades and new enhancements are mainly based on our customer feedback, comments and suggestions. At StaffingSoft we believe in building a long-term partnership and to facilitate our clients’ productivity and growth by providing a solution that respond to their unique needs, requests and functionalities. The qualities that differentiate StaffingSoft from other competitors are: feature richness, ease of use, affordability, and excellent customer service. The designers and architects of StaffingSoft are industry leading experts in software development and human resources staffing. We are committed to providing you with the best feature-rich solutions that will help you manage your ongoing search for top talent on an enterprise-wide scale. We welcome your questions, comments and input. Discover how StaffingSoft Staffing Software can transform your current recruiting information into a valuable knowledge database by requesting for a Live Demo.